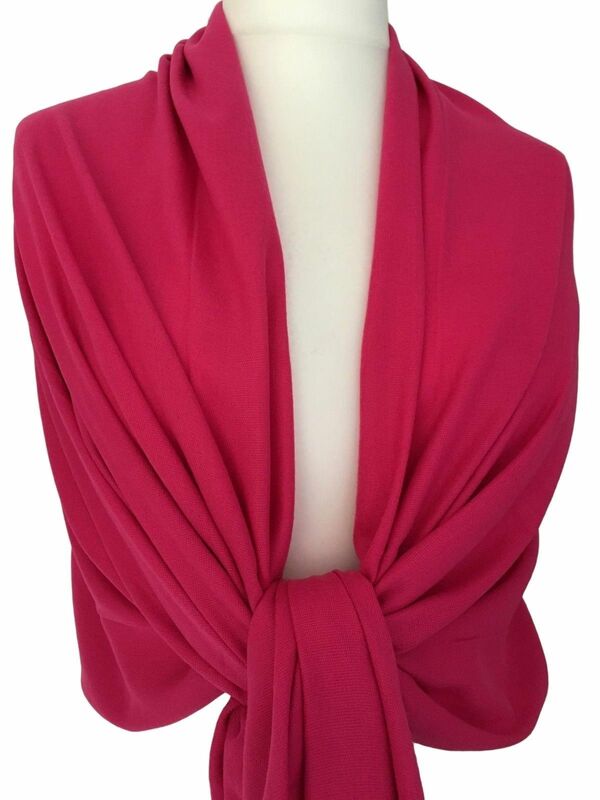 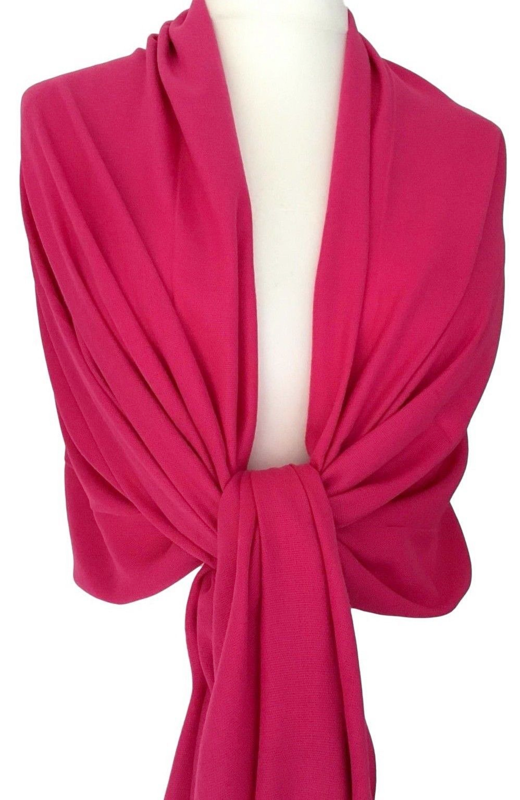 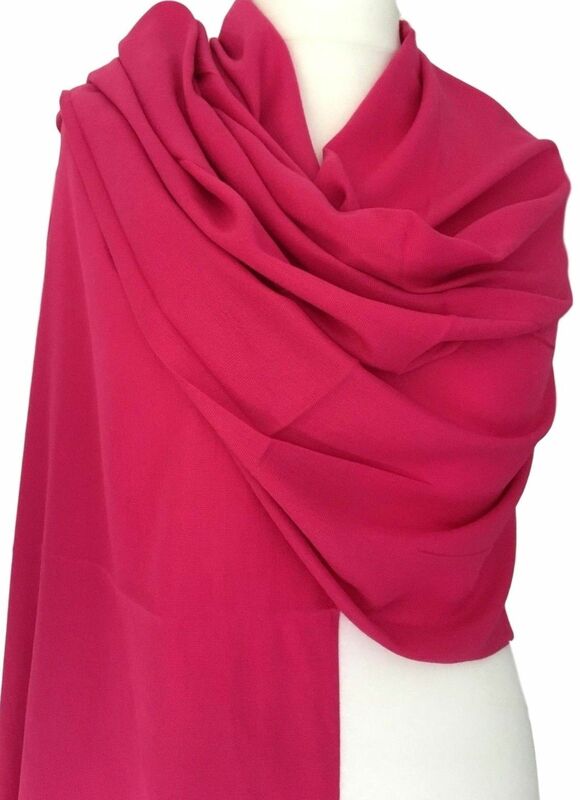 Cerise pink pashmina / wrap, beautiful and soft, tassel trim to the ends. 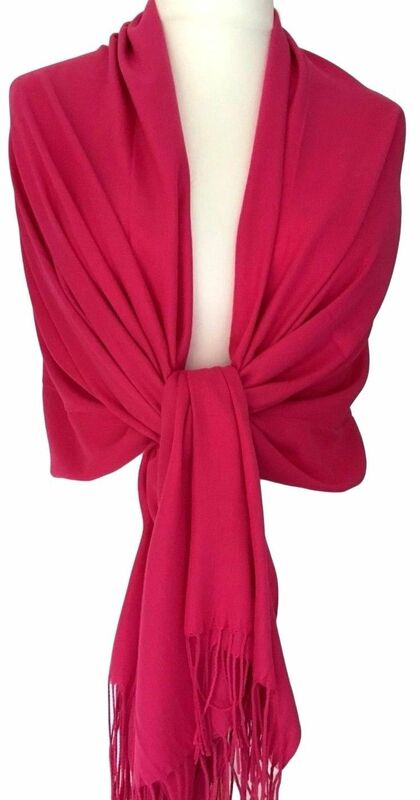 Measurements : approx. 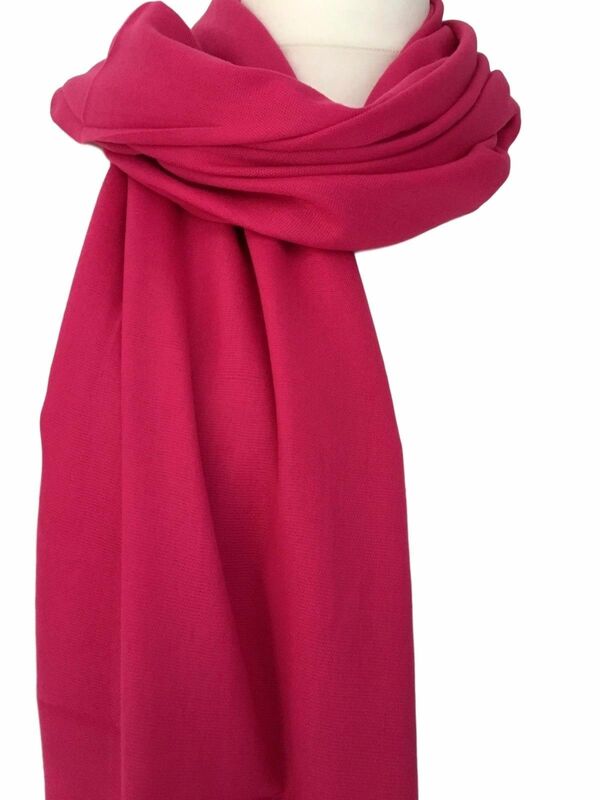 72.5 inch / 185 cm in length and 23.5 inch / 60 cm in width, the pashmina drapes and falls beautifully, it can also be worn as a scarf, the perfect fashion accessory.